I am not affiliated with Rolex. I am not an official Rolex Dealer. These products are being sold for Collection purposes ONLY. 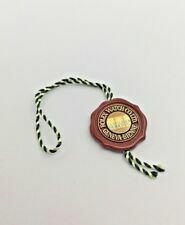 This is 100% authentic Rolex item and in excellent condition. 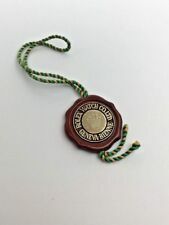 Rolex President green swing / hang tag. 100% Genuine. Condition is Used. Dispatched with Royal Mail 1st Class Large Letter. LADY DATEJUST. COLLECTORS represents the first association of watch collectors internationally recognized. - Envíos internacionales. - Envíos nacionales (España). Enviamos artículos a todo el mundo. 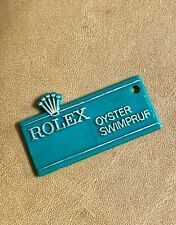 100% genuine Rolex item. 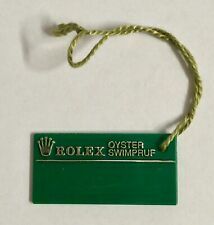 Ideal for any Rolex collector/enthusiast! 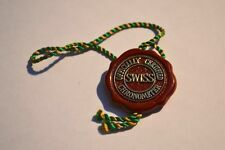 We are not affiliated with Rolex or any other their authorised dealers. Treffen Sie heute auf die Uhrenliebe Ihres Lebens! 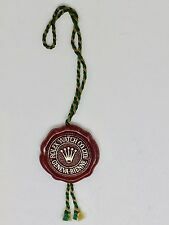 Vintage Rolex Chronometer red seal hang tag. Cord is split, see photos. Condition is Used. Dispatched with Royal Mail Signed For® 1st Class Large Letter. OYSTER SWIMPRUF. COLLECTORS represents the first association of watch collectors internationally recognized. - Envíos internacionales. - Envíos nacionales (España). Enviamos artículos a todo el mundo.